With each passing year smartwatches continue to pile on the features, whether that's monitoring your heart rate, tracking your location or making calls to your friends without any help from a smartphone whatsoever. When it comes to using these wrist-based computers as medical devices though, smartwatches are just getting started. They're always on and always on us, and that makes them perfect for regular health monitoring. We've spoken to some of the experts in the field to find out just how smartwatches might progress as medical devices in the future. Here's what's coming down the line. As we've said, smartwatches are well suited for bringing essential medical monitoring into the home – they're easy to use, they're always running, and they're always in contact with our bodies. In many ways they're the ultimate medical sensor. "One of the biggest hurdles of digital health is acceptance and engagement and this is where the smartwatch shines," says Rosario Iannella, co-founder and CTO at Qardio, which makes blood pressure monitors that work with mobile devices like the Apple Watch. "It is shifting the idea of health as something only done at a doctor's office or a gym to something that can be done wherever you are." The work to tap into this potential continues, with institutions like the Center for Body Computing (CBC) at the University of Southern California investigating how wearables and health monitoring can work – from the way data is collected to the way it's processed. With the right apps, smartwatches can offer "very specific uses for individualised monitoring of health information," Dr Leslie Saxon, executive director at CBC, told us. "Care pathways can be developed that measure watch collected data and app data, like pain scores, drug adherence and depression." It's not just smartwatches themselves, but also the associated software that will advance this progression, Saxon says: everything from improvements in Apple HealthKit to artificial intelligence that can spot problematic patterns in health data. There's still plenty of work to do though, before the smartwatch turns into a fully fledged medical monitor. It's going to be a while before a watch sensor can read your blood pressure as well as a wrist strap can – that's just the limitations of the technology. "Before smartwatches can be considered medical devices, the biggest technological challenge to overcome is being able to get a medical-grade reading from your wrist," says Qardio's Rosario Iannella. It's likely that smartwatches will be used first as accessories to medical devices, taking readings and feeding back data, before they have the necessary on-board sensors. Not only that, but regulatory approval – from the likes of the Food and Drug Administration (FDA) in the US to the Medicines and Healthcare products Regulatory Agency (MHRA) in the UK – is required before a smartwatch or a smartwatch add-on can make the jump from being a rough guide to your step count to a clinically accurate medical device. 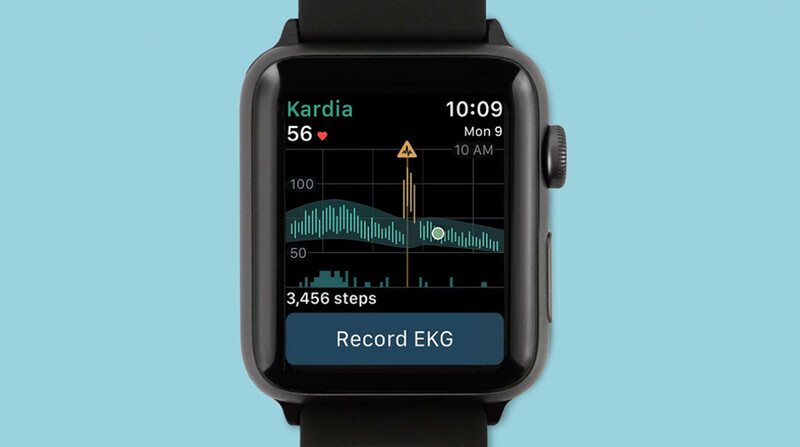 "Companies need to be willing to work with the FDA in order to get new advances through to consumers," says Vic Gundotra, CEO of AliveCor, which makes the KardiaBand, the first Apple Watch accessory to get FDA approval for heart monitoring. "Tracking steps or heart rate is a great start, but to really move smartwatches into the medical device category, you must work within the often arduous regulatory process and develop the clinical data necessary for validation." Reliability is crucial, according to Brian Carter, the SVP of product at Validic, a company which specialises in the collection of data from wearables and in-home medical devices. "If a smartwatch misses a few minutes of physical activity, or fails to transmit one weight data point to a consumer wellness program, there is not much of an impact," Carter told us. "However, if clinical decisions are being made based on the data, trends of data, or interpretation of data, every data point matters." Still, there's plenty of innovation to come. "The form factor of a watch provides a lot of potential which has yet to be tapped," says Carter. "The watch interface is still in its infancy, which is something to consider even before thinking about new kinds of sensors. "There is a massive opportunity to facilitate more efficient, intuitive ways for individuals to receive intelligence, insights, and encouragements related to their health, as well as to provide information and input back to platforms." In the words of Vic Gundotra, "We're just scratching the surface." Watch this space. As we've explained, the capabilities and the accuracy of our wearables need to improve before smartwatches can become valid medical devices, and then there's the additional steps required for getting regulatory approval to be used as serious health monitors. However, we're already seeing some potential use cases emerge. Researchers from the University of Colorado recently published a study of other studies looking at the use of smartwatches for health and wellness. It highlights some of the ways these wearables are already breaking through as medical devices. This is an area we're already seeing progress in. The smartwatches of today can detect heart rate, to some extent, and better technology is on the way. The FDA-approved KardiaBand from AliveCor takes EKG (electrocardiogram) readings to measure electrical activity in the heart. "Now people who know they’re at a high risk for heart disease or stroke can monitor their heart rate all the time," says AliveCor's Vic Gundotra. "And with the help of AI, it will notify you if it detects an abnormal heart rate and prompts you to take an EKG at a time when you are most likely to capture an arrhythmia." Many conditions, including diabetes, rely on the regular and accurate taking of medication and this is another area where smartwatches can help. Research has already been done into how a smartwatch can be used as a medication diary: it tells the time, it connects to the internet, and it's easy to operate. While studies carried out so far have been successful, they rely on a lot of manual user input. Wearables are going to need to add blood glucose sensors before this can all be made automatic, but the potential is definitely there and the data can then be cross-referenced with stats like daily activity, for instance. Now that we're all making calls from our wrists – well, some of us at least – many smartwatches are being kitted out with microphones. Those microphones can be used to check up on speech therapy exercises, giving feedback to users even if they're practising speech patterns on their own. One area where researchers think this might be useful is in the treatment of Parkinson's disease. The onset of the condition can lead to problems with the voice and speech disorders, and smartwatches could make it easier for patients to stay committed to therapy exercises when they're away from the clinic. The accelerometers built into smartwatches can potentially be deployed to detect seizures and tremors, particularly with conditions like epilepsy. In the case of epilepsy, seizures are triggered by intense electrical activity in the brain, and the most severe and prolonged types can starve the brain of oxygen. When epilepsy seizures happen, quick and effective treatment is an essential part of making sure the risks of long-term damage to the body are minimised. If smartwatches can be used to alert friends, family and healthcare workers about seizures as soon as they happen, that could make a huge difference. Are you sitting comfortably? And straight? The sensors inside a smartwatch might not only be able to detect your daily step count and morning jog pace, but also how well you're sitting. It's still early days, but the smartwatches we have today are already better at detecting posture than smartphones, research shows. We could probably all use a few prompts to sit up straighter and avoid hunching during the day, but there are of course a host of medical conditions and health issues where good posture is vital to avoid exacerbating existing problems. In the next few years we might see smartwatch apps that are able to help.